One of the good things about the weekend is that you have more time to make a good breakfast. – Mix everything in a large bowl. – Pour 1/4 cup of the mixture into the pan and heat until the surface starts to bubble and the bottom is golden brown, about 2-3 minutes. 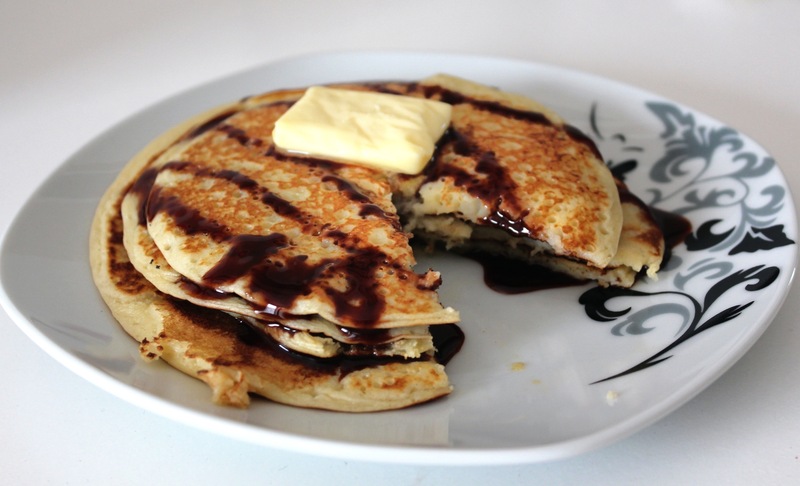 – Flip the pancake and cook the other side until the bottom is golden brown, about 1-2 minutes. Yum, those look delicious and divine! !